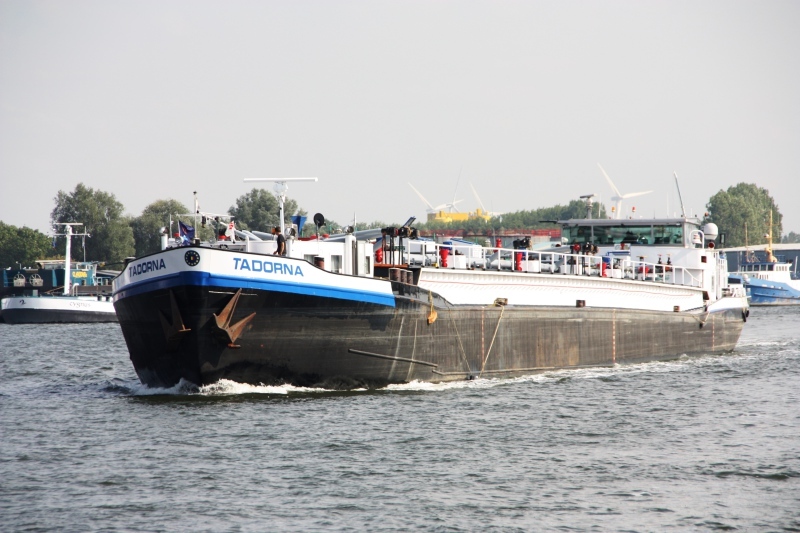 Inland otor tanker TADORNA spotted in the Canal Ghent-Terneuzen, August 19th., 2011. LxBxd - 107,85 m x 9,50 m x 3,02 m - 2.069 tonnes. Main engines 2 x Volvo type TAMD163A each 485 kW (660 HP).